One more quest to get Free Potbellied Pig for your FarmVille 2 Farms. Since FarmVille 2 ‘Fourth Week of Pig Season’ Quest and ‘If Wishes were Pigs’ Quest are now released, we are sure FarmVille 2 players will need extra water for producing crops. Here is our contribution of FarmVille 2 Freebies to help you grow. 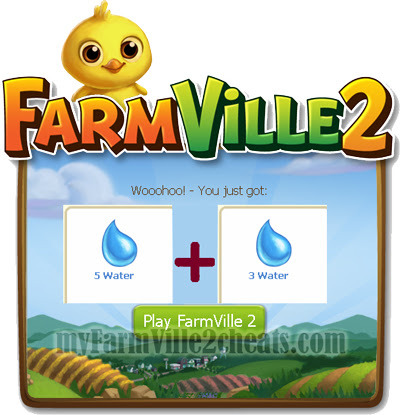 Click below to get your FarmVille 2 Freebies for today. Most of the quests ask FarmVille 2 players to feed animals for number of times. FarmVille 2 players can either use Speed-feed to feed animals even if they are not hungry. This way, animals will get twice the mastery. But since speed feeds are hard to collect (You can either purchase it using Farm Bucks, or earn it whenever any of your animals gets a mastery ribbon), we do not suggest to use speed feed to finish any task of a FarmVille 2 Quest. Alternatively, you can request your online FarmVille 2 neighbors to visit your Farm and feed the desired animal. Once your FarmVille 2 neighbors performs action, all you have to do is confirm by clicking ‘Accept and Send Gift’ to finish the Task of any Quest quickly. We consistently try to bring latest FarmVille 2 Cheats, Freebies, Guides and Tips to our FarmVille 2 players, so please do not forget to like us on our facebook page for upcoming FarmVille 2 Cheats, Freebies, Guides and updates by clicking here and share this post with your other farmville 2 friends so that they can also benefit from these Tips.